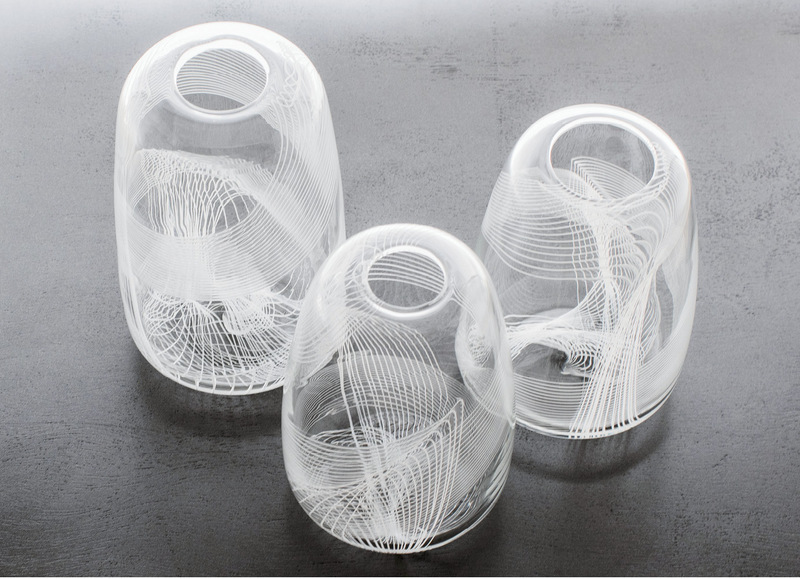 Terrane’s Topo Vases, clear with white canes, are made using a 2,000-year-old technique and a special stiff glass. 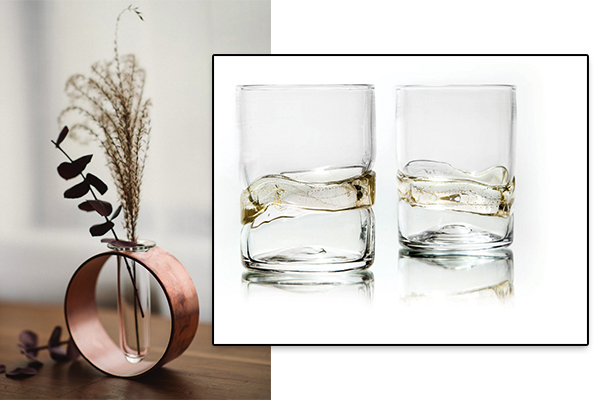 Terrane’s Aloft Bud Vase (left), with blown glass and a copper base, is an ode to WNC’s moonshine roots. O’Reilly is something of an accidental glass artist. After moving to Santa Fe, New Mexico, to pursue bronze sculpture, he instead ended up studying glass at a “hippy glassblowing studio,” he says, later getting a degree in glass art in California and moving to Seattle to assist some of the country’s leading studio glass artists. He and his family returned to Western North Carolina in 2015 to work with glass artist Kenny Pieper, and he now works out of the Penland studio of Pablo Soto, a former teacher for whom he apprenticed after studying at Penland School of Crafts. Although he came up in the studio glass world, O’Reilly knew early on that it wasn’t going to be his path. “I wanted to make something that would be used,” he says. Function wasn’t the only way in which he diverged from tradition—he also doesn’t care to work with colored glass. In early 2018, O’Reilly will launch a line of lighting and open a new studio in Spruce Pine. 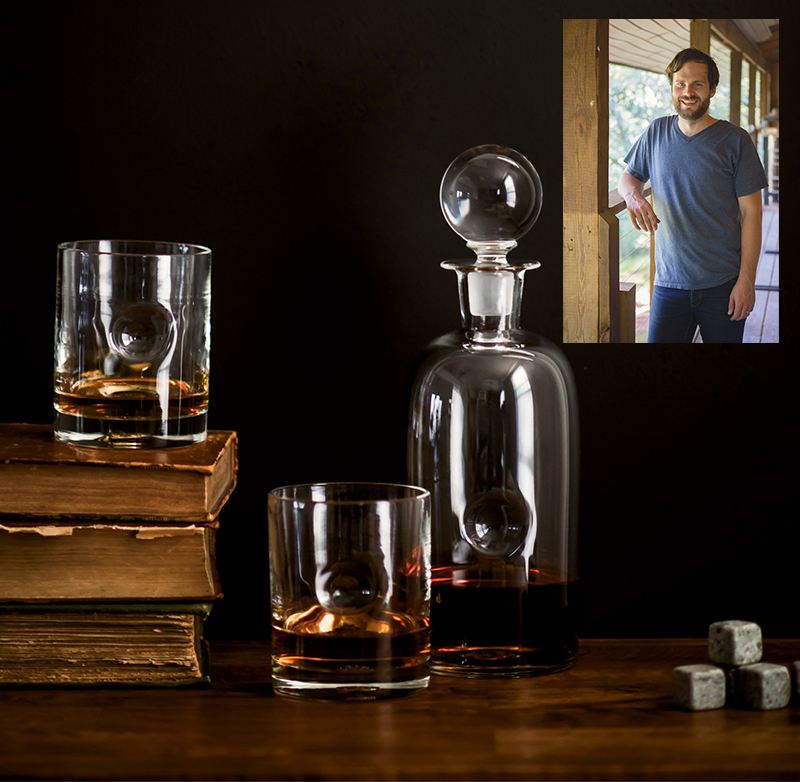 Last year, Terrane was the overall winner in Garden & Gun magazine’s coveted Made in the South awards and also placed first in the Home category. “That put us on the map more than anything we could have hoped for,” O’Reilly says. “We weren’t on anyone’s radar before that.” In addition to the orders that poured in from readers, Terrane produced an exclusive line for the magazine. The tremendous boost in demand put the small studio behind in production for six months (a good problem to have, O’Reilly notes), but now that they’re caught up, they’re thinking about the future. Expect to see a line of lighting coming from the studio in early 2018. Also early next year, Terrane will open a studio in downtown Spruce Pine. 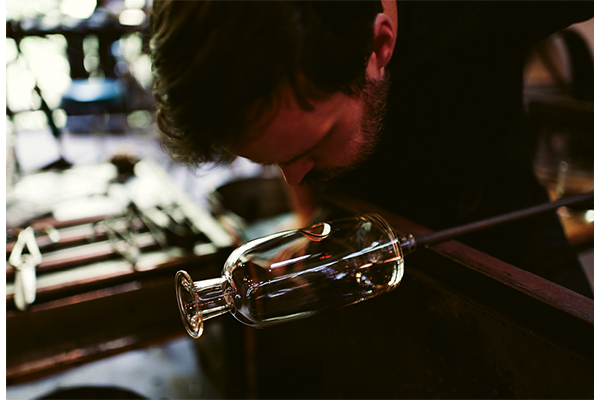 “This community has some of the best glass artists in the world,” O’Reilly says, “but there’s never been a studio downtown before.” Another bonus to the town: It’s in the heart of the mineral-rich geological region from which Terrane gets its name. 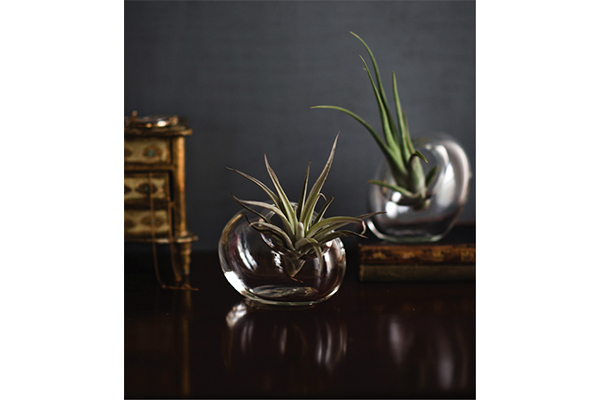 Shop the Look: Terrane Glass designs can be seen at www.terraneglass.com.